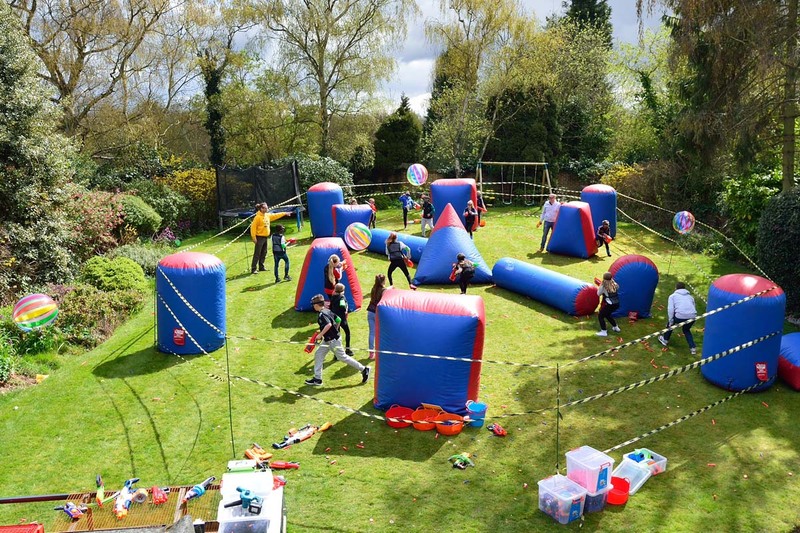 All mobile NERF Blaster Parties are charged £18.50 per person unless you have 25 children or more which is then charged at the lower rate £17.50 per person. 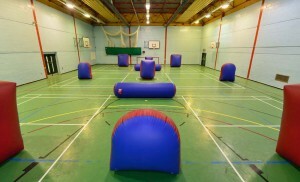 NERF Laser Blasters – All children must be over the age of 4 to participate and goggles are not required in game play. 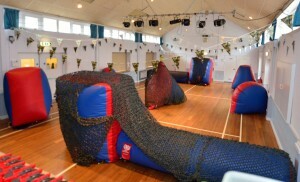 2 hour exclusive party hire (up-to 90 minutes game time and up-to 45 mins for your own party food within our designated party area at our venue – Groombridge Village Hall or Benenden Village Hall) – minimum 20 people with unlimited Darts at £17.50 per person. For mobile NERF Laser Parties we charge £19.50 per person unless you have 20 children or more which is then charged at the lower rate £17.50 per person. (up-to 90 minutes game time and up-to 45 mins for your own party food within your designated party area – your venue) Minimum 20 persons applies to all mobile laser blaster Parties. Mega Blaster World has an affiliation with two indoor venues which can be booked for Blaster Parties without weather restrictions in Kent. They are Groombridge Village Hall & Benenden Village Hall, both just £60.00 for both rooms for the duration of your party and includes the kitchen. We can book this on your behalf subject to availability. You can also book us to come to your venue location, garden or sports hall subject to availability, please see private bookings page for more details. Participants must be at least 6 years old and can enter on their own with a signed disclaimer by a parent or guardian. We have no upper age limit.